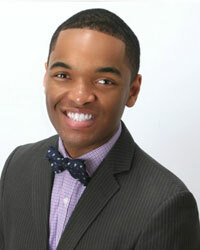 Devonte Campbell, a Northern Virginia Resident for 19 years, joined Karen Brown Team in early 2014 as an intern and soon became the Director of Social Media. He graduated from Herndon High school in 2013 with Karen’s oldest daughter Alexis and is currently attending college studying Communications and Marketing. Born and bred in Northern Virginia, Devonte fell in love with Real Estate through osmosis while hanging out at The Brown’s. He manages our various social media outlets and is responsible for coming up with innovative ways to use these mediums to reach clients and prospects. In his spare time he enjoys music, travel and fashion.